The YouTube user faced a wave of backlash after posting a video of Japan's so-called "suicide forest." YouTube says it's looking at "further consequences" against vlogger Logan Paul for a video he published on Dec. 31. Paul issued an apology for taking his camera into Japan's so-called "suicide forest," showing a dead body and seeming to make fun of suicide. YouTube said Tuesday that the video "violated our community guidelines" and that the company "acted accordingly," but it's not clear what that means. Paul's video set off a wave of backlash. He took the video down and claimed he was trying to raise awareness for suicide prevention. Mental health experts say his video might have had the opposite effect. 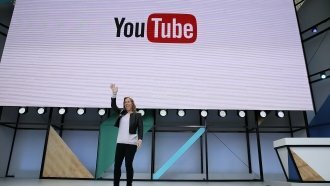 YouTube acknowledged that it had taken a while for it to respond to the controversy. The company said it was taking steps to "ensure a video like this is never circulated again."